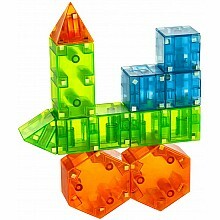 Get creative with 3D magnetic shapes! For ages 3-8 yrs, from Valtech LLC. 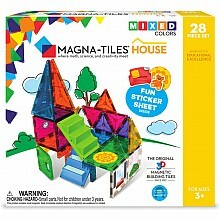 Add this 2-piece set to any Magna-Tiles collection for even more fun. 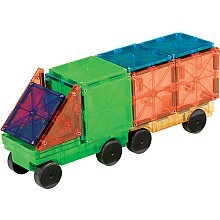 For ages 3-8 yrs, from Valtech - MagnaTiles. 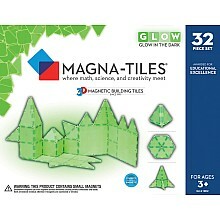 Translucent, magnetic shapes to build 3D structures of all kinds of designs! 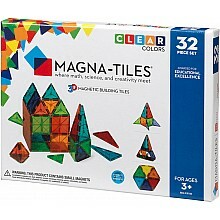 For ages 3-8 yrs, from Valtech - Magna-Tiles. 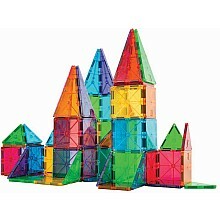 Colorful and translucent magnetic shapes invite builders to use their imaginations! And these glow! For ages 3-8 yrs, from Valtech - MagnaTiles.